Enjoy learning in a group with others of a similar riding level, whilst receiving individual attention. 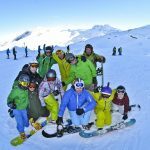 Our adult group snowboard lessons in Morzine, Avoriaz & Les Gets are a fun and cost effective way to improve your skills. Group sizes are small with a maximum of 6 people to ensure you and the group achieve maximum progression in a relaxed and intimate lesson environment. Not to mention, group snowboard lessons are a good opportunity to meet people of a similar ability and share the learning experience. Not sure of your level? 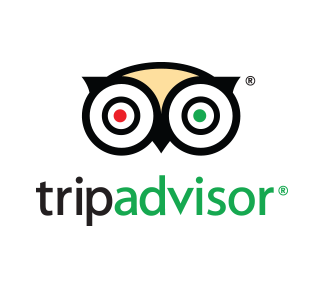 No problem, contact to us and we will assess your ability before recommending the correct group to suit you. 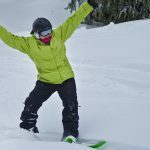 We offer adult group snowboard lessons from first timers to low intermediate levels. For higher intermediate and advanced level riders we offer the following group courses: Technical Performance Course, Freestyle Intro Course & Off-Piste Intro Course. Are you looking for Kids Group Lessons? If you're interested in a lesson click to button below to enquire or book. Which resort will you be staying in? This was by far the best snowboard vacation for me. The chalet, the food, and of course the unrivaled quality of the instructors were all so good. MINT really took care of every thing and the whole day course was truly epic!! 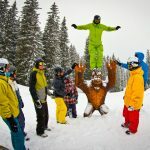 I highly recommend this camp/ vacation/ epic fun to any one who is into snowboarding!! It really doesn’t matter if you’re a beginner, intermediate or an advanced rider – you’ll still learn a lot and have great fun with the MINT team. In a week I not only managed to perfect my riding and learn a whole lot of new stuff but also met amazing people with whom I still keep in touch. 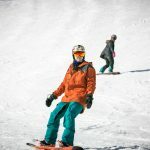 I HIGHLY recommend MINT Snowboarding to anyone who wants to learn, ride and share your experience together with people who are as passionate about snowboarding as you are. This is the second time I have had lessons with MINT Snowboarding and the reason being they are just fantastic. Again a great experience and I wouldn’t go with anyone else! 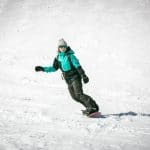 Fantastic beginner snowboarding lessons. My lessons made my trip! I was a beginner visiting Avoriaz and wasn’t feeling confident. Tony took time to listen to what I wanted and adapt his focus on how I would learn best, often trying different approaches to eventually get me to produce the desired result. 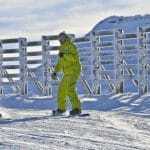 After my lessons I can now get down the slope confidentially, link my turns and importantly as he taught me, have fun! Fantastic experience and I’ll be booking a refresher lesson when I next visit!